Over 56 million Americans decided to skip breakfast this morning. That's 18 percent of the population. 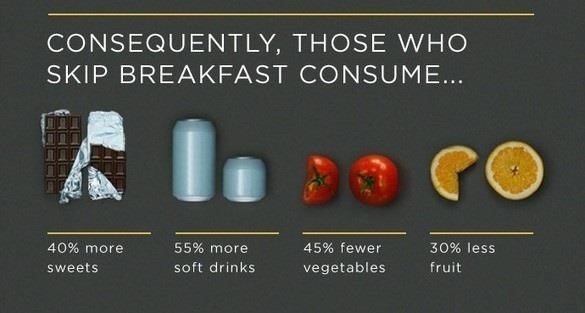 You're probably sick of hearing that the first meal of the day is the most important, but it's true—studies have shown that those who skip it consume more calories and fewer essential nutrients than regular breakfast eaters. 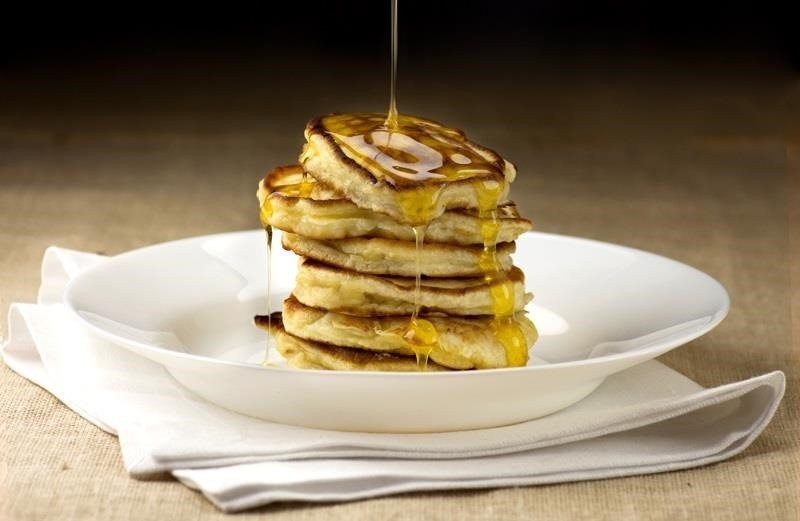 Regardless of nutrition, who can pass up devouring a batch of warm, fluffy buttermilk pancakes drizzled in sweet maple syrup? 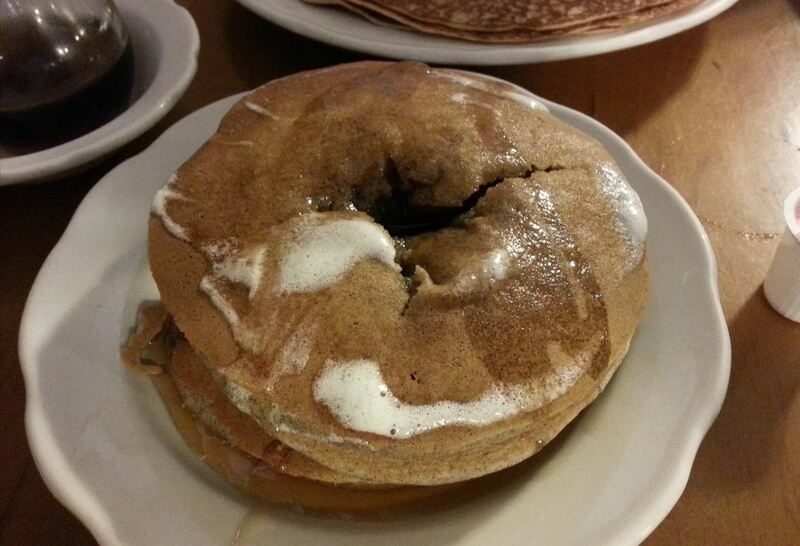 And why, you ask, is there a giant hole in the middle of that delicious looking stack of pancakes? A little trick I like to call the crater effect. Redditor InfiniteOrigin explains that creating a hole in your pancakes allows you to directly inject the syrup into the center of the stack. So, instead of having pieces in the middle that are dry, your entire stack of pancakes will taste like maple syrupy goodness. Even though this next picture looks delicious, the syrup is sliding off the top, pouring over the sides, and essentially only soaking into the bottom pancake. Plus, the syrup is running all over the plate and will drip everywhere when you take a bite. The crater pancake won't do this, since it's all contained safely inside the pancakes. The only way this breakfast could be any better is if it were rainbow colored. Got any other breakfast tips or tricks? Let us know in the comments below.